As we get ready for the NHL Stanley Cup Playoffs to begin, NBC Sports will once again have the rights to all of the games. And similarly to how CBS/Turner handle the early rounds of the NCAA Tournament, NBC will utilize multiple networks to ensure that all of the games in the first two rounds of the Stanley Cup Playoffs are available to all. This year adds a new network to the mix and a couple of new announcers to NBC’s coverage. 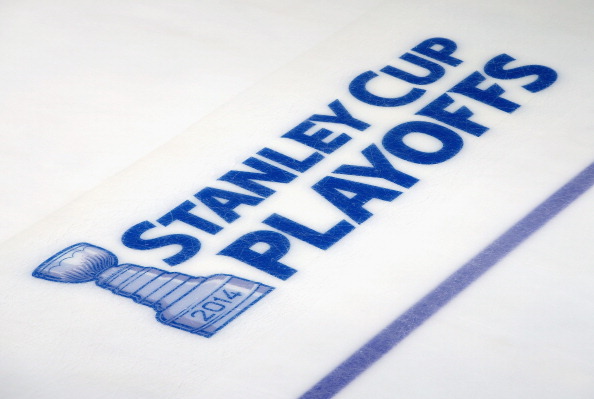 With this in mind, we give you some things you should know about this year’s NHL Playoffs coverage. We told you about this back in March. USA Network which was the home of the NHL on cable in the 1980’s and hasn’t had a hockey game on its airways except for the Olympics, is back in the NHL business as of tomorrow. It will air an opening night doubleheader with the New York Islanders at Washington and Calgary at Vancouver. USA is cable’s #1 entertainment network plus with WWE programming, it gives the NHL an extra boost and some added exposure. This Saturday, NBC will air the NHL Draft Lottery in primetime. It will be shown at 8 p.m. ET just before Game 2 of the Pittsburgh-New York Rangers series. The fourteen teams that didn’t make the playoffs will have an opportunity to get the first pick in the 2015 NHL Draft. It marks the first time the lottery will be aired in primetime on broadcast television. With Canada’s TSN not involved in the NHL postseason for the first time since 2001, NBC is utilizing two of the network’s versatile play-by-play men to call games, Chris Cuthbert and Gord Miller. Both have been used by NBC in the past to call regular season and college hockey. Miller calls Game 1 of the Chicago-Nashville series with Joe Micheletti on NBCSN while Cuthbert and Bret Hedican will be in Vancouver as the Canucks host Calgary. Not only does this provide NBCSN with some experienced play-by-play men, but it also deepens its announcing bench. Kenny Albert will be busy calling the New York Rangers on radio for as long as they’re in the postseason and also calling games for the NBC Sports Group. Albert who has become one of the better all-around play-by-play men by calling MLB and the NFL for Fox, NHL for NBC, and the New York Knicks and Rangers for MSG Network, will call Game 1 of the New York Islanders-Washington series on Wednesday and he’ll back on the Rangers beat on Thursday. He’ll work throughout the playoffs all the way through to the Conference Finals for NBC Sports Group. Last year, Albert called the Rangers through to the Stanley Cup Final while doing play-by-play of the Western Conference Final. NHL Network will air Game 1 of the Montreal-Ottawa series as a simulcast from CBC/Sportsnet in Canada. It will be back airing Game 3 of the Anaheim-Winnipeg series on Monday. NHL Network fulfilled this role in the past and will do so again this year. With as many as four to five games a night, NBC Sports Group will utilize two studios with two separate crews. Liam McHugh will be the main host along with analysts Mike Milbury and Keith Jones. Kathryn Tappen, Russ Thaler and Dave Briggs will also serve as hosts throughout the playoffs and they’ll be joined by Jeremy Roenick and Anson Carter and TSN insiders Bob McKenzie and Darren Dreger. The studios will be utilized through the Conference Finals, but then McHugh, Milbury and Jones will head to the site of the Stanley Cup Final. Now whether or not you like Pierre McGuire is immaterial. If you like him, you’ll appreciate the fact that he’ll be working just about every night for the first two rounds as an Inside the Glass analyst. If you fall in the “dislike” category, then you’re not going to like that you’ll be hearing his voice extensively. No matter, he’s going to be piling up the frequent flyer mileage just like Kenny Albert during the Stanley Cup Playoffs. Just know that he’ll be a constant as the “Inside the Glass” analyst throughout the two months of coverage. NBC will be on the case for as long as the NHL postseason goes. During the first round, it won’t have exclusivity of the games except on weekends when NBC airs them. The local regional sports networks will have preference in the local markets so you won’t be able to watch the national feeds whether they’re on CNBC, NBCSN or USA. However, once the second round rolls around, NBC Sports Group will have complete exclusivity and there won’t be any local broadcasts. We get ready to watch and there will be plenty of excitement and drama plus expect some late nights with overtime. It will be fun to watch.